An engaging Numbers activity book to really help boost your child’s progress at every stage of their learning! Fully in line with the Early Years Foundation Stage, this Maths book provides reassurance whilst supporting your child’s learning at home. 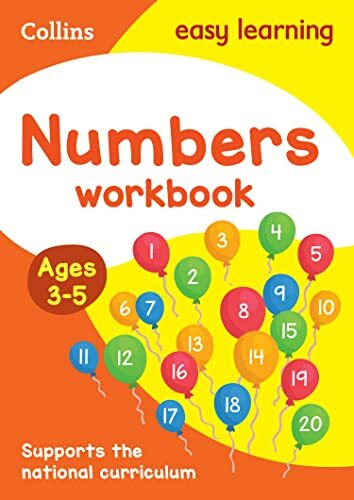 Combining useful Maths practice with engaging, colourful illustrations, this Numbers workbook helps to boost your child’s confidence and develop good learning habits for life. Each fun activity is designed to give your child a real sense of achievement.